By Kate Dagli in E-Commerce. Updated on January 16, 2019 . The ecom design work has reached the beginning of its golden era. For the past few years, online shopping has become more popular than ever and we have reached the point where the majority of people prefers buying from online stores more than shopping in the physical ones. With this new trend that changes the very essence of shopping, the ecom design work has never been more popular. However, with the growing ecom industry, we have to keep in mind that the expectations continue to grow as well. Not only do the shoppers expect an easy and intuitive shopping experience, but they also expect to get a sky-high conversion rate. If you want to offer them the best experience possible, you have to avoid making mistakes that simply cannot go unnoticed. Let’s take a look at the 4 major mistakes that the ecom designers are prone to making. If you want to create a successful online store, you have to use the best possible images to attract visitors. However, if you go overboard and have too many images per page, the results will be quite the opposite of what you were aiming for. This phenomenon is called the choice overload. In a fascinating experiment in 2010, the researchers confronted people with too many choices to see their reaction and the results were quite surprising. When the people were given a wide variety of 24 jams to choose from, 60% of them stopped for a taste, but only 3% bought. On the other hand, when they were presented with only 6 choices, 40% stopped to sample while 30% of them made a purchase. This is why you should try and avoid the choice overload on your website whenever possible. While some stores exist only in their online form, the majority of the online stores are simply a practical extension of the physical shops that the customers are already familiar with. In cases like that, you want the online shopping experience to mimic the experience the customers get when they visit the brick-and-mortar shop. DiBruno, a gourmet food retailer, conducted an interesting case study that addressed this particular issue. DiBruno moved their website on BigCommerce Ã¢ÂÂ a platform that was supposed to deliver the best customer experience similar to the one in the physical store. Its design versatility helped create a feature-rich and responsive storefront and the results were better than expected. 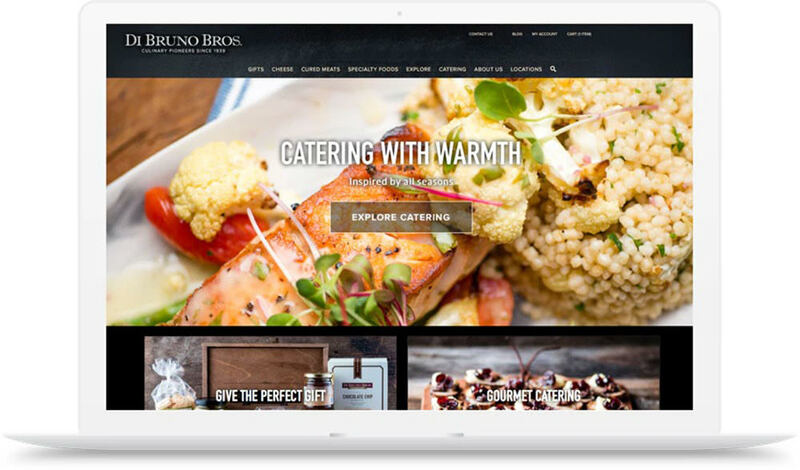 Once the website was fully optimized and active, DiBruno saw a 63% increase in conversion and saved $1.5K per month in hosting costs. Since you cannot physically visit an online store and see the products in person, unfortunately, some sellers have decided to take advantage of that and sell fake products. As a result of that, the buyers are always a bit skeptical when purchasing stuff from an online store for the first time. Reviews and testimonials are hands down the easiest way to build trust. 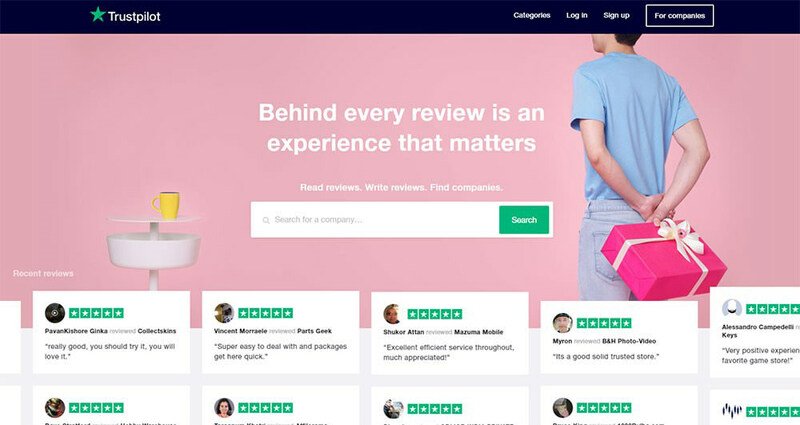 Make it easier for your customers to write a review by using a tool such as Trust Pilot. The more reviews you have, the better. In addition to that, positive reviews help you get ranked better on Google. We have reached the era where people are officially spending more time online on mobile than on desktop and you need to design your online store accordingly. Statista says that ‘e-commerce growth is primarily being driven by consumers using their mobile devices, phones, and tablets”. With that in mind, the importance of having a fully optimized mobile experience cannot be stressed enough. After all, in today’s competitive market, you need to take any advantage you can get if you want to stay on top of the competitors. Now that mobile is the no 1 shopping medium, it needs to offer customers the easiest and most intuitive experience possible. In practice, that means that not only you should have a fully responsive website, but it also has to run as smoothly as possible. From the categories that are easy to navigate and the products that are easy to find to the easy to fill check out forms, you need to make sure that there aren’t any hiccups on the way to completing the purchase. Online shopping has never been as popular as now but with its growing popularity, the customers’ expectations have grown as well. By avoiding these 4 simple mistakes, you can ensure that you are providing your customers with the best user experience they can hope for from an online store.